Sirikanya (Noon) Santayakul is a Program Assistant for The Equity Initiative, Bangkok. She supports the EI’s program operations, communications and digital platforms, including the learning management system (LMS) and HealthSpace.Asia. Previously she was an environmental program assistant at the Raks Thai Foundation, where she worked with local community service organizations and regional partners. 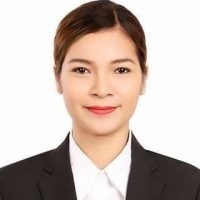 She graduated with a bachelor’s degree in 2015 from Thammasat University’s Faculty of Political Science, where she majored in international relations. Noon is interested in social development and the mental health of children in conflict areas.